Ordinarily, when reviewing TV shows, I would watch 4 to 6 episodes to get a good feel for the program. With Star Trek: Discovery, I decided to wait until it concluded its first season before doing a review because I honestly could not decide how I felt about it. This latest Star Trek spinoff has been the most difficult to form an opinion about. It has many commendable features, yet there are so many aspects about it that misfires so badly, that we have to wonder if the creators behind this spinoff understand Star Trek at all. Major spoilers will follow. Star Trek: Discovery takes place in the 2250s, which makes it a prequel to the original Star Trek. Then again it does not feel like a prequel but more like a remake. Naturally, it does not recreate the mood and production of the original because it would have been laughed off and this is part of the reason why it is so controversial with fans. Overall, this show has to be accepted as a remake rather than a reboot because there are many attempts to stick to canon and some elements established in the original Prime timeline, such as numerous Easter eggs, references and sound effects. On the other hand, they’re not always consistent with sticking to canon, which can be irritating. But once you put aside these feelings about this latest Star Trek spinoff, it becomes easier to watch. 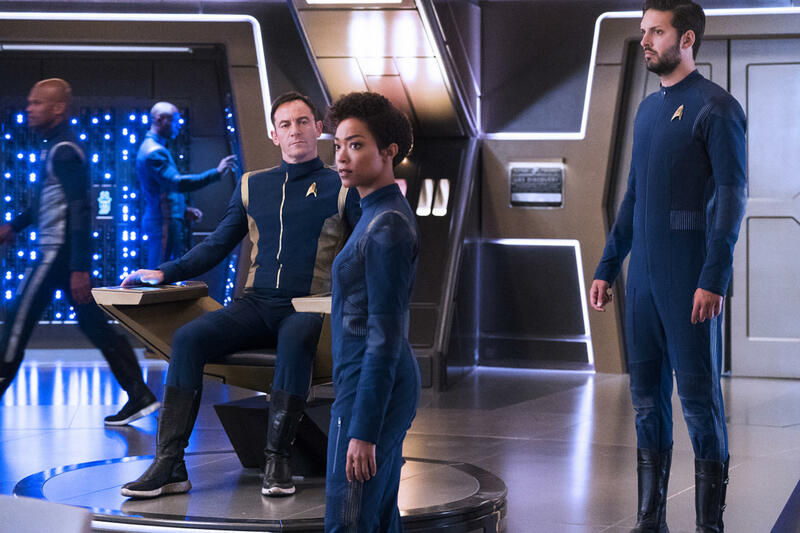 Star Trek: Discovery is updated to today’s standards in terms of special effects, set design and writing. The entire show is beautifully executed and each episode feels more like a feature-length film than a TV show. While this is welcome, at times the creators went too far in reimagining Gene Roddenberry’s futuristic universe. A case in point is the unnecessary re-do of the Klingons, the show’s main enemy race. The poor actors portraying the Klingons seem to be drowning under all the heavy makeup and wardrobe and we have to wonder why the showrunners thought this was an improvement over the perfected Klingon look seen in the other spinoffs and films. Be that as it may, the subtle updating of other alien races like the Andorians and the Tellarites are executed well. 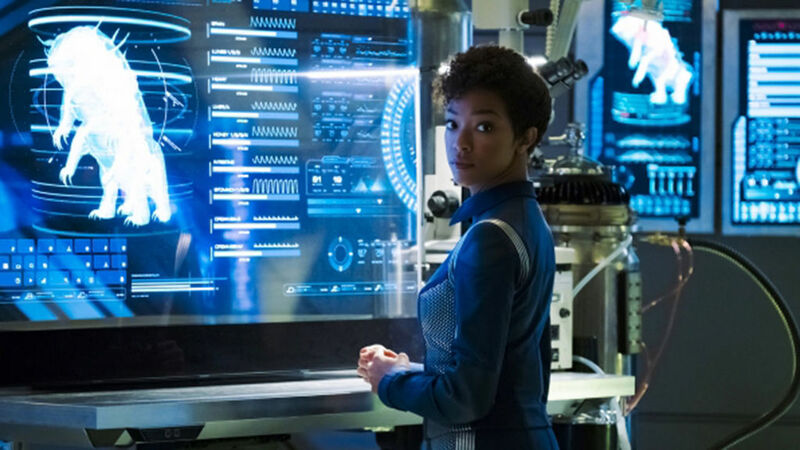 The Star Trek spinoff follows the story of Michael Burnham (Sonequa Martin-Green), a former first officer who mutinied against her captain and was jailed. Her actions helped spark a war between the Klingons and the United Federation of Planets and most of the first season is devoted to this storyline and her redemption. Burnham is freed by the captain of the U.S.S. Discovery, Gabriel Lorca (Jason Isaacs), and enlists her to his crew for some ulterior motive. 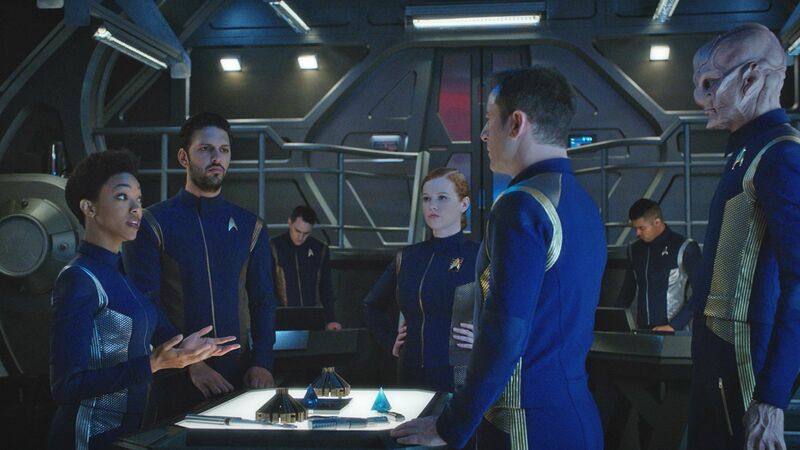 He assigns her to aid the ship’s science officer Lt. Paul Stamets (Anthony Rapp) and find a way to utilize an experimental spore drive being tested on the Discovery to win the war against the Klingons. Eventually this results in Stamets using himself as a conduit for the spore drive, which allows the ship to instantaneously travel anywhere. Even though Burnham is the main protagonist, Lorca has emerged as the most fascinating character thanks in part to Isaacs’ exemplary acting and the way he is written. Lorca was introduced as a mysterious, and unusually brutal commander who was obsessed with winning the war. He was not above tossing aside ethics to get the job done, and pushing people beyond their limit, yet he was a capable commander. But in the second half of the season, the Discovery wound up in the Mirror Universe where humans are evil and it was revealed that Lorca himself came from this reality. This confirmed many suspicions that fans had but in the end, this development was a disservice to Lorca who became a moustache-twirling villain and unremarkable. Hopefully, some way can be found to return some version of Lorca in the second season. Therein lies the fault and strength of Star Trek: Discovery and this is typical of its conflicting nature. Some characters are compelling and well developed like First Officer Saru (Doug Jones), a lanky and fastidious alien, Sylvia Tilly (Mary Wiseman), a bubbly young cadet, and Ash Tyler (Shazad Latif), a Starfleet officer who is actually a Klingon that was surgically altered into a human in order to infiltrate Starfleet. While others are interesting background bridge crewmembers that the show largely ignores. I’m not even sure what their names are, I just know them as the cyborg lady, or the woman with the metal implant on her skull. They barely have any dialogue and are begging to be examined more closely. The stories themselves are also just as uneven. Some episodes are genuine classics and belong up there with the great Star Trek episodes. These include “The Wolf Inside”, “Despite Yourself” (two fantastic Mirror Universe tales), “Lethe”, “Choose Your Pain”, and “Into the Forest I Go”. As great as those were, Star Trek: Discovery is also weighed down with some downright clunkers that are poorly plotted and clumsily executed. One example is the first episode that aired for free on CBS, “The Vulcan Hello”, which needed to be great to entice people to subscribe to the CBS All Access app that streamed the rest of the episodes. Unfortunately, the season also ended on a less-than-thrilling note with a two-episode storyline that ended the war too quickly and unsatisfactory. However, the final shot of the last episode “Will You Take My Hand?” brought a thrill when a sparkling and graceful Enterprise appeared on the screen. Despite these faults, I have to admit that I genuinely enjoy Star Trek: Discovery. As far as first season Star Trek shows go, this is the best one since the original Star Trek. Unlike some other Star Trek spinoffs that first started out, this show is rarely dull and takes some genuine risks, even if they do not pay off. Of course, the criticism is valid that unlike its predecessors there isn’t any exploring done. This is something that is a vital essence of Star Trek, but it does push the envelope, chiefly with its characters and focus. The captain is not the main hero but a broken and disgraced former officer. Many of the characters are out to prove themselves and most of them do, which is why they are so easy to watch and root for. Another thing to note is that putting aside all the action and eye-popping visuals (seeing the Discovery spin its saucer while it goes into spore drive never gets dull), certain elemental truths about Star Trek are still there. We just have to recognize them: accepting diversity, seeking diplomatic solutions, and bettering yourself. 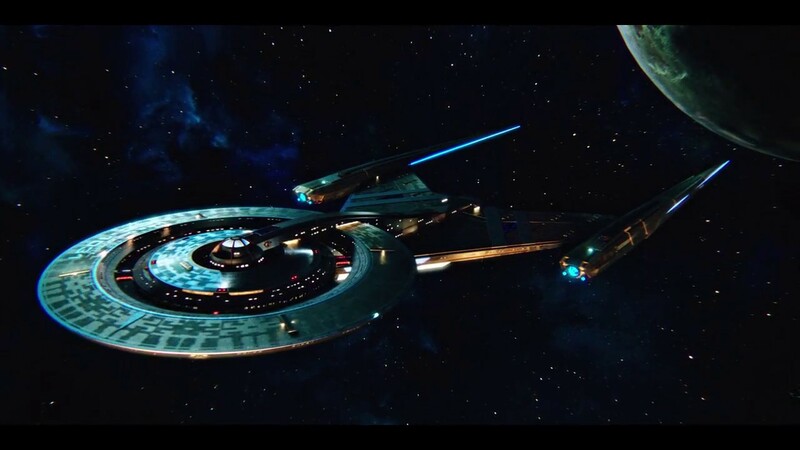 As Alexander Courage’s iconic theme played during the end credits of the season finale, I found myself eagerly waiting to see more from Star Trek: Discovery, and for that reason the show is a success. Great overview, I enjoyed the first season of Discovery quite a lot and it certainly has potential to become a truly great Trek series. I’m a life long fan and just glad that we have a new Star Trek series which I feel for the most part successfully towed the line between being faithful to the past whilst catering to the tastes of today’s audiences…and TOS being my all-time fave I was definitely pleased at the prospect of another prequel (TNG era has been well served enough). I was always expected that there would be a certain amount of visual tweaking and reimagining of certain elements which I’m generally accepting of, given the advancement of technology, visual effects and television budgets over the past fifty years it wouldn’t be prudent to completely replicate the look of the future as it was back in 1966. I agree that the visuals of Trek had to be updated and I know that the look will continue to evolve as the franchise grows older. It is best to be open minded and look for the new show’s merits, it will improve over time as TNG and the other spinoffs did. I definitely think so, look at how well DS9 evolved over the course of its run. Hopefully they can live up to the promise of THAT ending as well, I’m excited to see where it all goes. Exactly. DS9 had a wobbly 1st season compared to Discovery and look at how well it turned out.